2017 STARCRAFT MARINE Alaskan 12 TL 2017 Starcraft Marine 12 TL Alaskan 12 TL (20"Transom) Pure Excellence The Alaskan has been around for a long time and has earned a reputation for excellence. There is no denying its popularity. Alaskan utility boats have found their way into rental operations, lodges and nearly every major fishery in the Northwest. Durability and performance are the hallmarks that have elevated the Alaskan to this enviable position, and you are the folks who keep coming back year after year, letting us know that we still live up to our reputation. 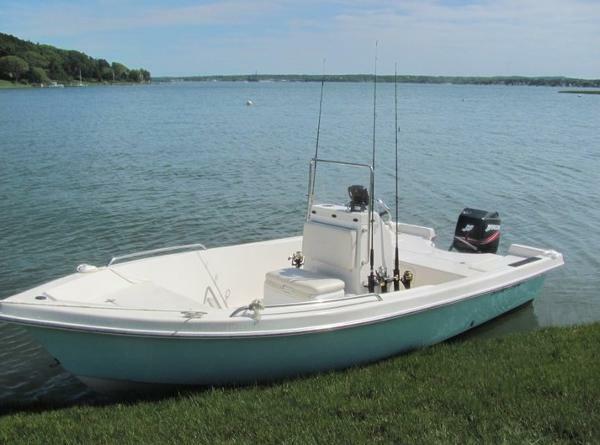 2017 STARCRAFT MARINE SL 14 2017 Starcraft Marine SL 14 SL 14 TS (15"transom) Just What You Need On Water For those who favor a no-frills approach to fishing, we offer the SL series. Available in 12 and 14 foot models, these rugged, reliable and hard working utilities will get the job done every time. SL models feature rugged, one piece bottoms, heavy gauge bench seats with floatation, molded spray rails, corner castings with handles, and custom graphics. Starcraft utilities keep working for you year after year. Committed to your satisfaction. Starcraft Marine. 2017 STARCRAFT MARINE 12 TL 2017 Starcraft Marine 12 TL Alaskan 12 TS (15"transom) Pure Excellence The Alaskan has been around for a long time and has earned a reputation for excellence. There is no denying its popularity. 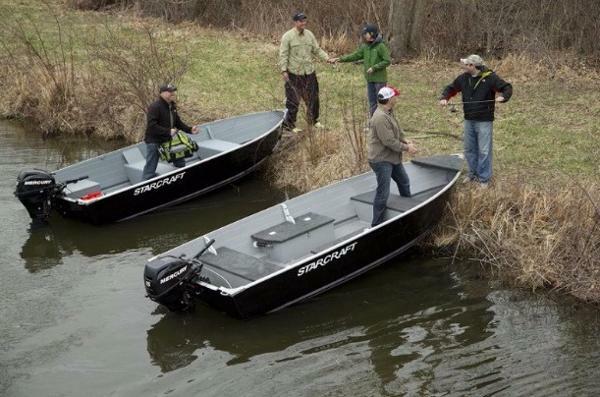 Alaskan utility boats have found their way into rental operations, lodges and nearly every major fishery in the Northwest. Durability and performance are the hallmarks that have elevated the Alaskan to this enviable position, and you are the folks who keep coming back year after year, letting us know that we still live up to our reputation. 2017 STARCRAFT MARINE 13 DLX 2017 Starcraft Marine 13 DLX Alaskan 13 TL (20"transom split seat DLX w/floor) Pure Excellence The Alaskan has been around for a long time and has earned a reputation for excellence. There is no denying its popularity. Alaskan utility boats have found their way into rental operations, lodges and nearly every major fishery in the Northwest. Durability and performance are the hallmarks that have elevated the Alaskan to this enviable position, and you are the folks who keep coming back year after year, letting us know that we still live up to our reputation. 2017 STARCRAFT MARINE 15 DLX 2017 Starcraft Marine 15 DLX Alaskan 15 TL DLX (20"transom split seat w/floor) Pure Excellence he Alaskan has been around for a long time and has earned a reputation for excellence. There is no denying its popularity. Alaskan utility boats have found their way into rental operations, lodges and nearly every major fishery in the Northwest. Durability and performance are the hallmarks that have elevated the Alaskan to this enviable position, and you are the folks who keep coming back year after year, letting us know that we still live up to our reputation. 2017 STARCRAFT MARINE 12 TS 2017 Starcraft Marine 12 TS Alaskan 12 TS (20"transom) Pure Excellence The Alaskan has been around for a long time and has earned a reputation for excellence. There is no denying its popularity. Alaskan utility boats have found their way into rental operations, lodges and nearly every major fishery in the Northwest. Durability and performance are the hallmarks that have elevated the Alaskan to this enviable position, and you are the folks who keep coming back year after year, letting us know that we still live up to our reputation. 2017 STARCRAFT MARINE SF DLX 16 2017 Starcraft Marine SF DLX 16 Seafarer DLX 16 SC (side console w/floor 20"transom) Years of Worry-Free Reliability Everything you need for great experiences, including high quality seating, lockable storage, aerated livewells and durable vinyl floor covering. The hard working SF DLX offers years of worry-free reliability. 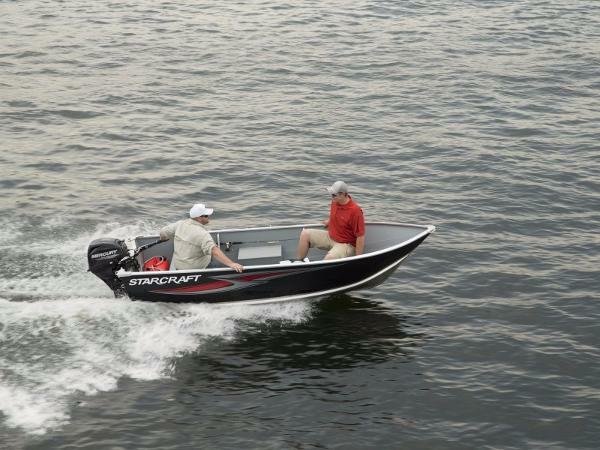 2017 STARCRAFT MARINE SF DLX 14 2017 Starcraft Marine SF DLX 14 Seafarer DLX 14 (20"Transom) Years of Worry-Free Reliability Everything you need for great experiences, including high quality seating, lockable storage, aerated livewells and durable vinyl floor covering. The hard working SF DLX offers years of worry-free reliability. 2013 Starcraft Bay 170 2010 Starcraft Bay Series 170 powered by a Mercury 90hp four stroke with 220 hours. 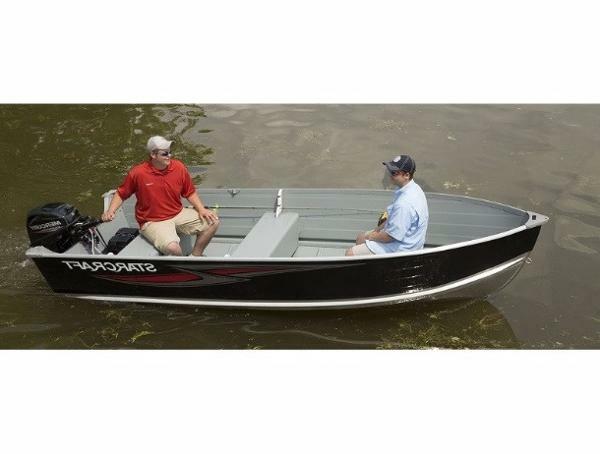 Features include: integerated casting platforms, live well, cooler seat, flip/flop helm seat, center console with storage, rod holders, colored gel coat, 100% wood free construction. 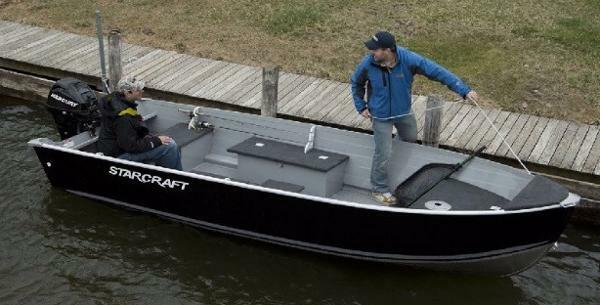 Nice little bay boat with low hours. 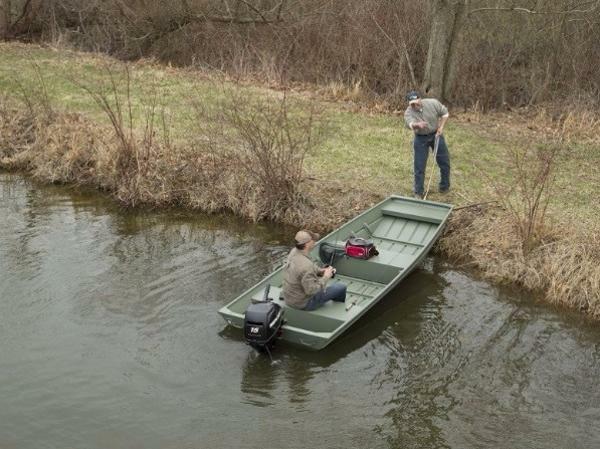 Perfect for the bay, pond or your favorite lake. Includes a single axle road trailer. 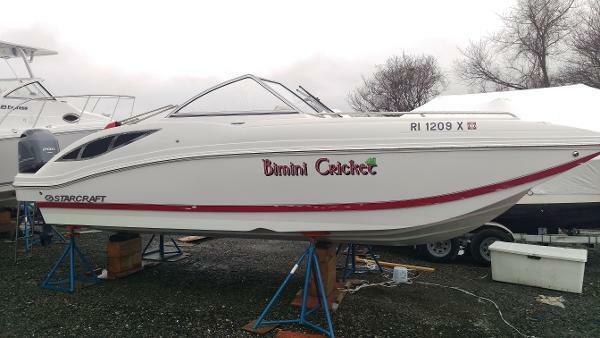 2016 STARCRAFT MARINE Jon 1448 JUST ARRIVED2016 Starcraft Marine Jon 1448 With a Starcraft jon boat, you're getting durability, reliablity, and safety. 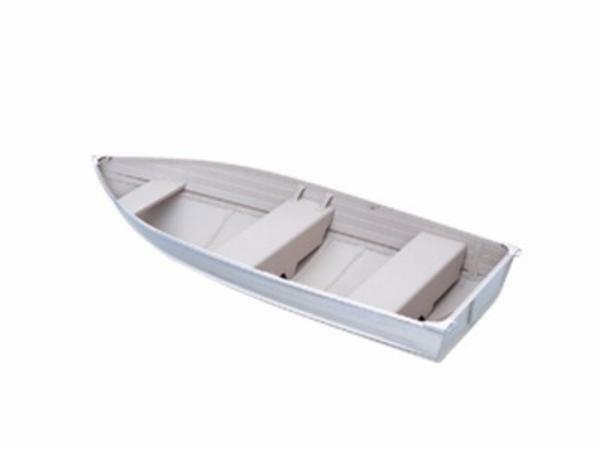 Built with wider beams to increase stability, these boats will keep you safe and warm when temperatures fall and it counts most. 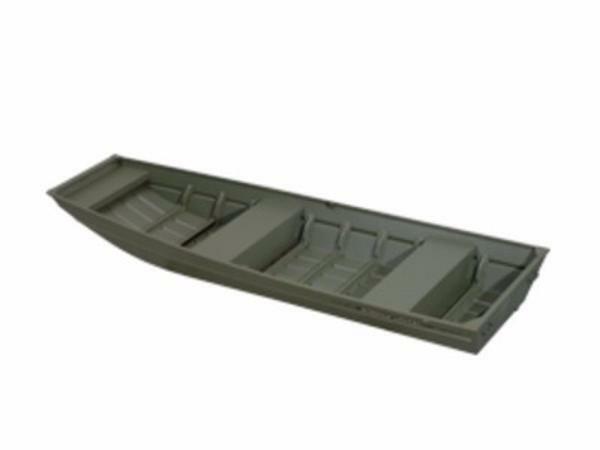 With the traditional low sides that you'd expect from a jon boat, it's easy for your favorite four-legged hunting buddy to get in and out with ease, while keeping you both dry and safe when you need it.